Humanitarian need is at an all-time high, with ongoing crises in Syria, Yemen, Somalia, Nigeria and elsewhere. However, the news outlets that report on these issues are under huge pressures that include declining revenue, attacks from political elites, and the spectre of ‘fake news’. 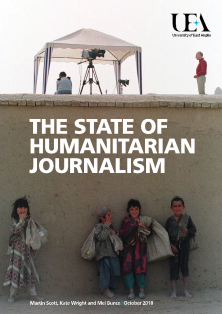 We are joined by a panel of leading journalists and media commentators to discuss the findings and their own experiences reporting on humanitarian crises.